For next retreat contact us. We accept only 6 participants! This retreat is for anyone who wants to detox cells of physical body, emotional body, mind and spiritual body, who wants to nourish and develop Life energy (JING, QI, SHEN), who wants to reset and reprogram functions of vital organs, who wants to embrace the ultimate vitality of life. Now is the time to stop chronic and acute stress, chronic pain or illness, chronic and acute deprivation of life energy and boost your vitality to build up large reserves of energy. Retreat detox and reprogram your cells, transformation of DNA is a carefully designed program of detoxification of the body, emotions, mind and spirit that resets all body functions and gives opportunity to reprogram them. The reset spins of restoration of vital energies that have potent immune modulating activity. The retreat gives you knowledge how to operate in today’s way of life and keep health, vitality and vigorousness in your life. Retreat is based on personal experience and knowledge of Neja Zupan, who recoverd from life threatening disease: aggressive form of ductal hormonal dependant cancer using practises that she is going to deliver at this retreat. Neja has more than 25 years of experiences in healing and personal transformation. To recover she has used all her knowledge and wisdom. She is living testimonial that incurable disease does not exist. Retreat is very practical oriented. By the way this experience is only available for up to maximum of 6 participants. A group small enough to ensure the maximum benefits is realised for you as a unique individual. Dr. Neja Zupan is a registered Touch For Health Instructor, registered with the International Kinesiology College, NLP Instructor, registered with International NLP Trainers Association, very senior Yoga practitioner and is an extremely experienced practitioner of many forms of healing. Petr Zupan is a Sound healer, iVitalis trainer and Touch for Health Practitioner. Saša Zupan is a Touch for Health Practitioner, iVitalis trainer, NLP Master Practitioner and is an experienced family psychologist. How to register for this healing opportunity? For you to book this exceptionally priced unique experience please contact the institute Bisernica. The fee includes full program, discussions with teachers and social program. The booking at this unique, extraordinary retreat will only be secured and confirmed on receipt of payment. Individual detox retreat (1-2 person) is available upon request. 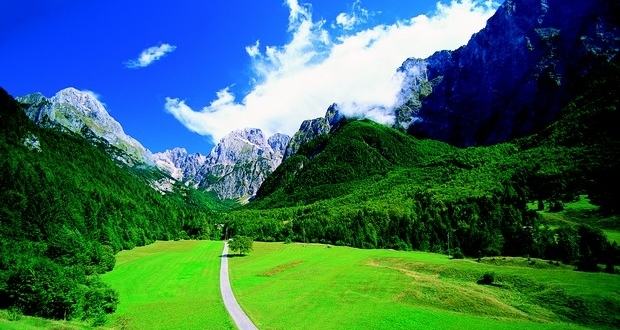 More reasons to come to Slovenia? ** for exceptions please contact us.